Neils Feijen was born in Holland on the 3 February 1977. He is nicknamed the 'Terminator' and his hobbies include fitness training and martial arts studies. Today, this fine Dutch 9 ball pool player who uses a Longoni cue is based in The Hague. The Dutchman first burst onto the international scene with a sensational and very surprising win over Francisco Bustamante at the World Championship in 2000 and he managed to follow that up the following year by reaching the last eight at the WPC. In the year 2001, Feijen managed to reach the final of a major tournament in Tokyo, Japan. This prestigious event was the largest prize money available at that time however in spite of quality field of more than 700 players, Feijen put up a brave fight in the final before seemingly inevitably succumbing to the magic of Efren Reyes. In 2004, Niels Feijen succeeded in winning the Skins Billiards Championship which carried prize money of $42.5K. Impressively, Feijen has managed to win the European straight pool championship on 3 occasions in 2002, 2003 and 2004. In 2005 he won the Big Apple 9 ball Classic, which was held in Queens, New York - an event with an impressive field comprising 128 of the world's best players .Feijen pocketed $10,000 for the 13-11 win. Also in 2005: Dutch Open 9 ball pool Champion and 2005 Belgium Open 9 ball pool Champion. 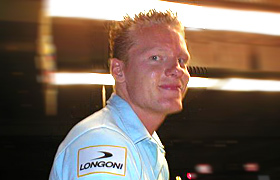 In 2005, Niels was chosen to represent team Europe in the Mosconi Cup event. In 2007 Feijen won the $50K winner-take-all International Challenge of Champions when he managed to defeat Lee Van Corteza in the final. Also in 2007 Feijen managed to reach the position of being ranked number two in Europe and WPA number one in the world. Overall, Niels Feijen has proven himself to be a consistently good tournament player even though he has yet to win a major title.